Ekta Kapoor has embraced motherhood as she welcomed son Ravie Kapoor surrogacy. The producer named her son after her legendary father’s Jeetandra’s real name. Ekta had made the announcement on Twitter and added that she is excited for her next chapter of her life. The producer has now shared the first glimpse of her son and the picture is going viral. 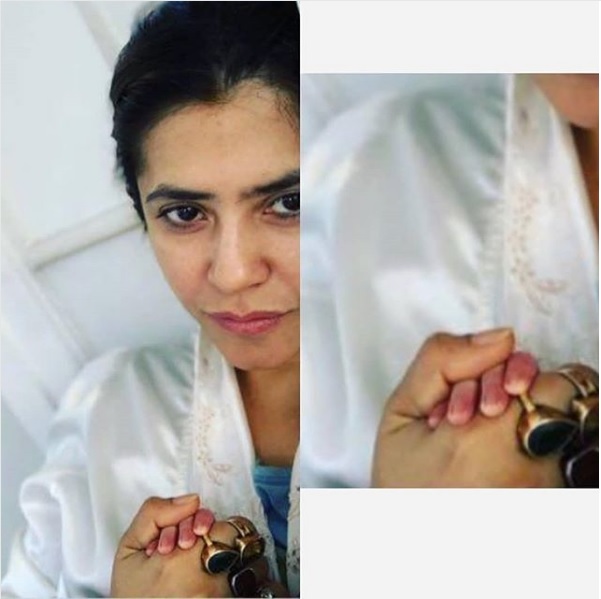 The picture has shown Ekta while holding son Ravie’s hand adorably but Ravie is not visible. The picture has shown Ekta with a visible glow on her face while she holds son Ravie. The producer earlier shared the her son was born on January 27, 2019. Reports say that Ekta was keenly involved in the entire process and gad taken regular updates about the mother and the baby’s health at every stage from the doctor. The producer was determined to become a mother and she made it happen. Ekta in her announcement said, “It is an emotional moment for me and my family and I can’t wait to begin this new journey of being a mother.” The producer’s brother had earlier also taken the same route and became a single parent to son Lakkshya through a surrogate mother. Meanwhile the fans of Ekta Kapoor cannot wait to catch another clear glimpse of her son Ravie Kapoor.